A beautiful period farmhouse situated in The Northumberland National park near to Padon and the Pennine way in stunning countryside. En-suite bedrooms are well appointed and offer spectacular views. There is a spacious comfortable lounge / dining room where guests can enjoy our fantastic breakfast. Ideal place to stay for attending Wood Hill Hall wedding venue and The Castle Hotel wedding venue, Stay to see the unique Dark skies. Only fourteen miles from Kielder and the Kielder Marathon. Children £20 per child per night B & B. Sadly due to a personal matter, I had to cancel a reservation on behalf of a family member at very short notice. The hotel were extremely accommodating and helpful. I couldn’t praise them enough for their help. If I’m ever in the area I would not hesitate to stay here as it looks beautiful. Thanks so much once again. Myself and partner recently visited this b&b, we arrived around 1 o’clock the day of my cousins wedding to be greeted by a lovely man. He got our keys and showed us to our room. As we enter the room I initial thought I was a nice homely room. After looking closer we realised the bed wasn’t made correctly with very poor bedding, dirt all over the window sill and mould in the shower. I went off to the wedding leaving my partner in the B&B. He was approached by a women who stated it was now going to be £100 rather than £75 because two guests had turned up (I had booked for two guests - double/twin room) I assumed I was a mix up as I knew I had made the booking. The next morning my partner and I decided we didn’t want any breakfast so didn’t leave the breakfast choice sheet out as advised to do. We checked out with a lovely gentlemen who I gave £77 to (I even left a tip). After leaving I received several missed calls and an extremely rude voicemail of the women who works there saying ‘how annoyed she was that we didn’t pay £100, and fair enough you could of have breakfast and we didn’t have enough repect to let her know, and to get back in touch but I highly doubt you will’ I stay in several hotels a year and I have never experience such appalling customer service. It’s massively unprofessional to leave a guest a angry voice main especially when I paid the full amount I booked the hotel for (for 2 people) plus a tip. This had also happened to another couple stay at the same time. Maybe if she wanted more money better rooms and customer service would result in a better tip. Booked to stay here through booking.com but unfortunately due to unforeseen circumstances was not able to go. This was after my free cancellation date. After contacting the hotel and explained my situation they cancelled my booking with no charge. So while I did not stay at the property I do feel it correct to offer a positive review of the customer service. 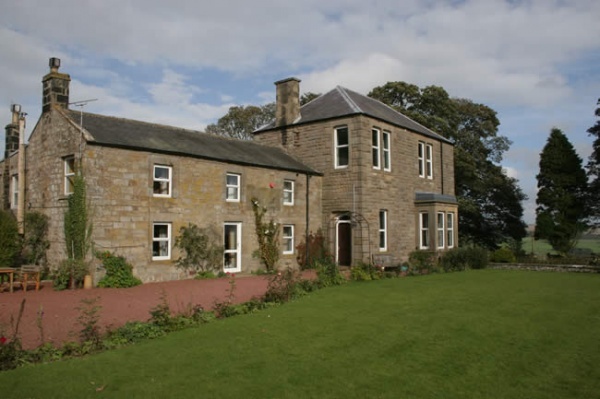 I stayed here with a couple of friends as we were attending a wedding in Otterburn. Dunns houses was clean and we were very well looked after. Booking taxis were a slight issue so I would ensure you have booked in plenty of time, if needed. Luckily we discovered that the two other guests who were staying in the house, were going to same wedding we were so we asked the taxi driver to come and pick us up after he had dropped them into Otterburn. Breakfast was lovely and there was lots of choice. Location stunning and a perfect base for what we needed. An excellent overnight stay at this B and B. Very near Otterburn, great scenery and a first class breakfast. Large comfortable Bedroom excellent shower and welcoming host. It was a grey day but still pleasant views - must be stunning on a good day.